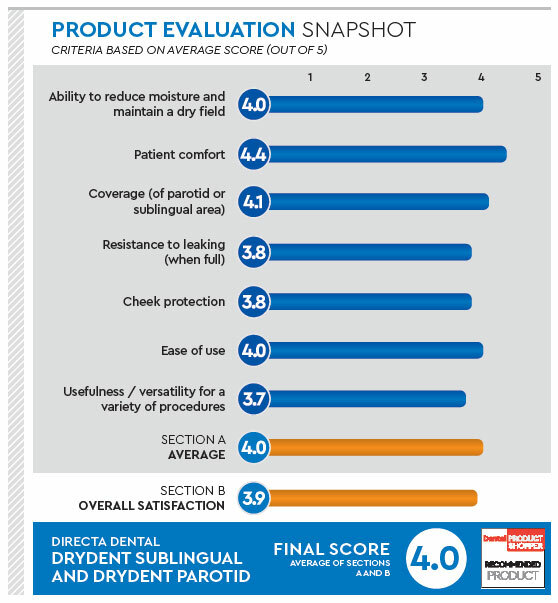 For DeFilippo and more than a dozen other dentists, one way to find out was to evaluate Directa’s DryDent Sublingual over several weeks for this DPS product evaluation. 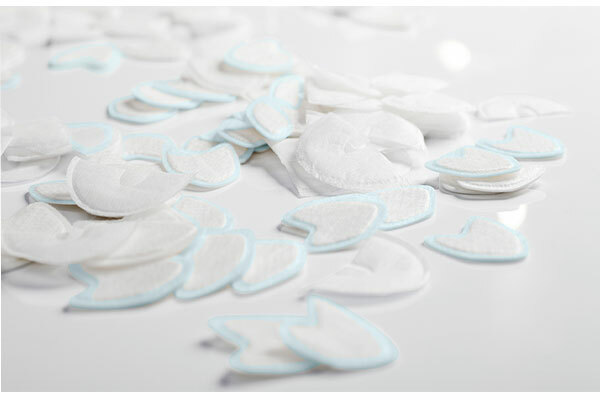 DryDent dental dry angles are designed to keep moisture under control, even when fully saturated, according to Directa. 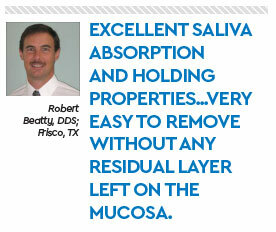 Dr. DeFilippo observed, “It absorbs saliva well and resists leaking when saturated,” while Dr. Lisa Cohoe felt that it became full too quickly and needed to be changed too often. A couple doctors recommended a larger size, while Dr. Dater suggested a smaller size for pedo. Rating his overall satisfaction as excellent, Dr. Jetter shared, “We appreciate any product which helps procedures go smoothly, and this product is certainly one of those.” He added, “I cannot think of any way that it could be improved.” Calling it a good product that delivers as promised, Dr. Tony Storace said he most appreciated the DryDent Sublingual's ease of use and universal application. He noted that his hygiene staff and assistants also liked the dental dry angles. “And if they are happy, the doctors are happy,” Dr. Storace concluded.